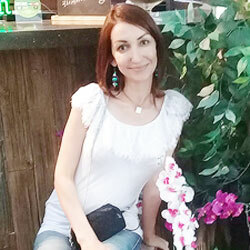 Write about yourself : I work in constructing company in HR department as an HR specialist. I am 38 years old woman, without bad habits. I have very good sense of humor, I am funny, interesting and not boring. I have a beautiful 10 years old daughter. If my future man wants to have kids, I will be glad to have more kids. I like cycling and I like skiing, but I do it very rare. I like sewing, knitting, yoga.